I learned how to cook beef recipes and found they can be served for special occasions as well as for family dinners. Beef provides us with a wide variety of cuts to choose from and more ways of cooking them than any other meat. Many great recipes can be made from hamburger alone and just adding a variety of other ingredients. Then we have different cuts of roast and flavorful stew meats; dare we not mention the delicious succulent variety of steaks. When you learn how to cook beef recipes, most elegant dinners are made from the many types of beef roasts; some of these being rib roast, eye roast, round roast, shoulder roast, chuck roast and rolled rump roast. These vary some in tenderness and price with the correct cooking can make for a wonderful meal. Roast beef can be cooked from rare to well done but remember some of the tougher cuts are not good unless cooked very done and tender. We are all familiar with and love the great taste of a good steak. As with the cuts of roasts, there are various degrees of tenderness in the different cuts of steaks. The most tender cut is the filet mignon; only a few cuts come off of the beef tenderloin. This is the best of all steaks and very expensive. The porterhouse is also a very good steak; also very expensive because only a few comes from each beef. The T-none steak is also good; comes from the same area of the porterhouse steaks but a little lesser in quality. Round steak is one of the cheapest cuts but it has great flavor. This cut needs to be tenderized and cooked until very tender; but is very delicious. Learn how to cook beef recipes from the tougher cuts of stew meat. Although it is tougher, the flavor is fantastic; it just takes longer to cook. This oven beef stew recipe is not only very tasty but easy to make. Coat the meat with flour and brown in a small amount of oil in an oven roaster. Add boiling water, salt and pepper. Cover and bake in oven for 45 minutes. Add onions, celery, carrots and potatoes. Return to oven and bake for another 25 minutes. 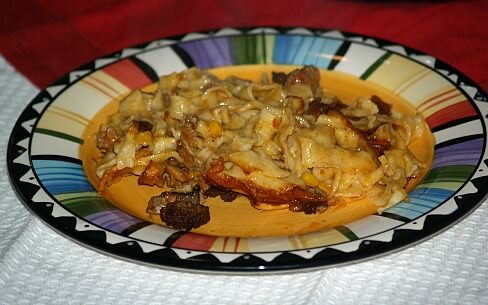 Of all the good beef recipes to prepare, ones like this hamburger casserole recipe are the most economical. Serve with rice and you have a cheap but delicious meal for your family. Brown hamburger and add chilies, soup, sour cream and half of cheese. 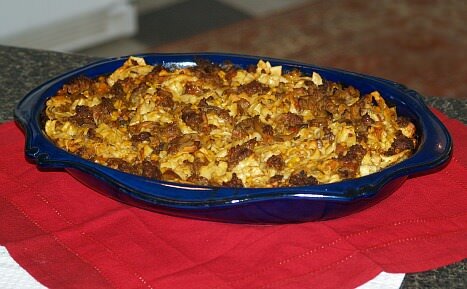 Make a layer of crushed chips in the bottom of 9x13 casserole dish. Spread hamburger mix evenly over the crushed chips. Add remaining cheese on top and bake until the cheese melts. This is one of the best beef recipes which uses a tougher cut of meat. Round steak is tougher than most other steaks but has a very delicious flavor. As a matter of fact, when I was growing up this is the type that we ate most of the time. When purchasing in the markets, round steak is much cheaper. By proper cooking, the flavor comes out and the steak becomes tender. This ragout recipe is one of the great beef recipes to use round steak in. Place the bacon on the bottom of a large heavy skillet with a lid. Cut the steak into small pieces and place on top of the bacon. Lightly sprinkle the meat with salt and pepper. Next add a layer of thinly sliced onions and then a layer of sliced carrots. Lightly sprinkle the vegetables with salt and pepper. Next add the potatoes, thinly sliced. Again, lightly sprinkle with salt and pepper. Put on medium high heat for 5 minutes, and then add the water. Cover tightly with a lid and cook for 45 minutes. If you are fond of all the good beef recipes for meatballs, you need to learn how to make Swedish meatballs. 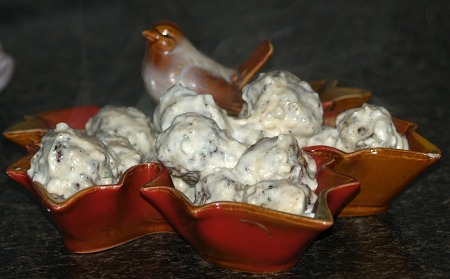 Whether you make them for appetizers or a main meal, they are delicious. Combine the beef, veal, onion, bread crumbs, pepper and mace in a large bowl. Shape like golf balls. Heat the oil in a skillet and then put the meatballs in the oil. Brown for about 10 minutes. Remove the meatballs from the skillet. Gradually mix in the milk with the flour, stirring until smooth. Heat the beef broth in the skillet and gradually stir in the milk mixture. Simmer for about 5 minutes and then blend in the sour cream, yogurt, mace and parsley. Return the meatballs to the skillet and simmer for a few minutes until meatballs are done. Serve immediately. Most parts of the beef can be used to make good beef recipes like this tongue recipe. Thoroughly scrub beef tongue but do not peel off outside skin and roots. Place in kettle with all ingredients and boil until tender. Remove from kettle and allow to cool before removing roots and outside skin. Trim off nicely and pell outside skin; refrigerate until thoroughly cold. Slice thinly and serve with thinly sliced rye bread. Boil ribs 40 minutes; remove ribs from pot and place in shallow baking pan. Combine and mix remaining ingredients; spread sauce over ribs and bake about 20 minutes. Cook noodles for 10 minutes; place in large greased casserole dish. Brown beef and onions in butter; add mushrooms tomatoes, corn, garlic powder and chili powder. Salt and pepper to taste. Add beef mixture to noodles and stir together; top with grated cheese. Bake casserole at 325F degrees for 1 ½ to 2 hours.